The claim for injury to Aboriginal culture is novel and controversial. 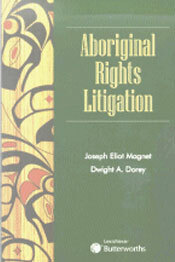 The legal profession does not agree about what exactly is meant by “injury to Aboriginal culture,” what are the defining characteristics of the wrong, what theories of liability support it, how causation may be determined, where the chain of causation ends and how damages should be conceived and calculated. This monograph, by Canada’s most distinguished legal academic on Aboriginal peoples, delves deeply into these timely questions. This pioneering study by Canada’s leading writers on Aboriginal peoples illuminates the ingredients of successful Aboriginal business venture and the indicators predictive of failure. Canada’s best jurists explore the frontiers of Aboriginal title and rights, impact benefits agreements, enterprise design and aboriginal intellectual property. 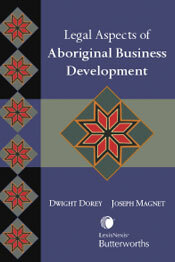 With fresh, innovative thinking, the authors speculate about the impact successful business venture will have on traditional Aboriginal cultures. 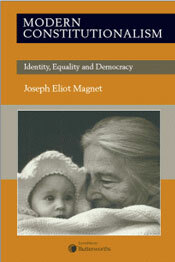 The history of all societies in the modern democracies is a progression from traditionalism to cosmopolitanism. All modern democracies require a basic set of skills which are imparted by the educational and bureaucratic institutions of the state. All grind traditional ways of life against the mass democratic culture of state institutions. This is why traditional communities, cultures, religions and nations demand autonomy from modern democracies. Modern constitutionalism is becoming increasingly sophisticated about redesigning state institutions in response to the anxieties of traditional identities. 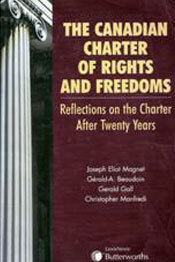 This outstanding collection of essays under the general editorship of Professor Joseph E. Magnet examines the impact of theCanadian Charter of Rights and Freedoms twenty years after its proclamation. 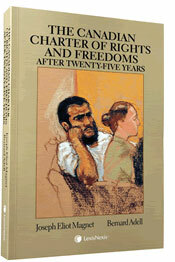 The writers are the leading Canadian voices in the academy, the judiciary and government. 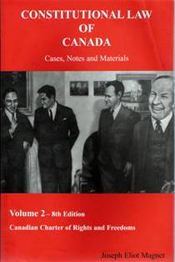 The collection examines the impact of the Charter on Canada’s legal and social framework, discusses the Charter’s successes and shortcomings, and offers insight into likely future developments. These superb essays are the first sustained examination of controversies concerning Canada's off-reserve Aboriginal people. 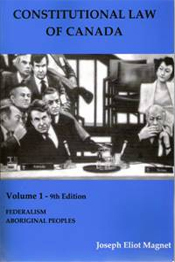 Under the editorship of Professor Joseph E. Magnet and Dwight A. Dorey, the volume contains path breaking work by Canada's top professors and leading litigators. 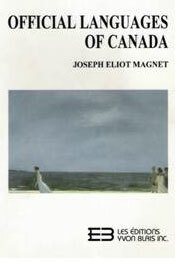 Professor Magnet's Official Languages of Canada is acknowledged by the Canadian legal community to be the leading work on the subject. 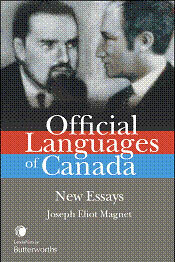 Through an interdisciplinary treatment this book opens new perspectives on the history of Canada's official language communities, the structure of linguistic conflict, legal regulation, constitutional rights, minority language education and linguistic politics. "Professor Magnet’s writing is "fearless," "challenges established doctrine," "is on the frontiers of a multi disciplinary approach," "informs and inspires." This book is "excellent" and "impressive." 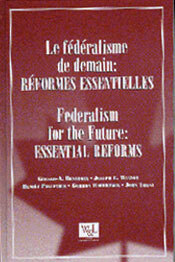 Professor Magnet is featured prominently in the recently-released Federalism for the Future: Essential Reforms along with other well-regarded experts on constitutional law and federalism issues, including G.A. Beaudoin, Benoit Pelletier, Gordon Robertson, and John Trent. 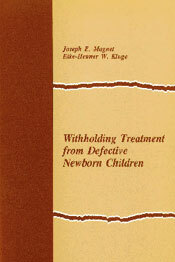 Withholding Treatment from Newborn Children considers the Canadian neonatal practice, legal aspects of decision-making authority and procedure in treatment and withholding treatment, ethical issues related to deliberate deaths, and makes several recommendations for policies and procedures. 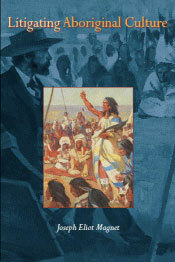 "This book is excellent," "courageous," "a rare triumph," "demands a wide audience and appreciation." "Few academic books have provoked, painted, challenged, stimulated or irritated as much as this one."